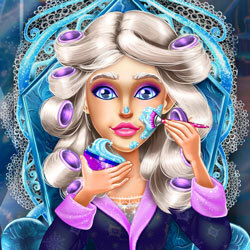 Description: Help the Snow Queen get a real makeover! Apply masks, beauty treatments and cleanse her face. After that, you can choose the perfect make up and dress her up so she can look astonishing.